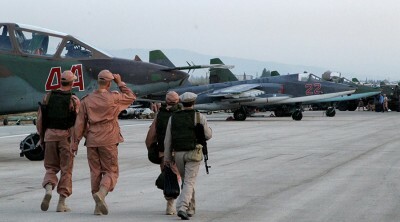 A new Syrian opposition group has been formed at a meeting at Russia’s Hmeimim base and it may come to Geneva, Russian Ambassador to the UN and other international organizations in Geneva Alexey Borovavkin told TASS on Monday. According to Borodavkin, this group comprises oppositionists who live and work in Syria but who have not been included in the political structure that is currently in power. « They have taken advantage of the cessation of hostilities regime and said that they support this regime, support the Russian-American statement on how this regime should be implemented, consolidated their political will, adopted a relevant statement and created a so-called secular opposition group in Hmeimim. It happened at the base of our Center for reconciliation, » the ambassador said. TASS has learnt that this group comprises doctors, lawyers, engineers, journalist and public activist representing the Syrian organization National Action, the Front for Democratic Action in Syria, the Syrian National Youth Party and Syrian Fatherland Party, as well as the International Red Cross Committee and others. The oppositionists call themselves the Hmeimim group. The ceasefire regime between the Syrian government forces and armed opposition groups came into force from 00:00 (01:00, Moscow time) on February 27. Ceasefire is not applicable to the terrorist groups Islamic State and Jabhat al-Nusra, as well as other formations recognized by the UN Security Council as terrorist. An hour before the ceasefire came into force, the United Nations Security Council adopted a resolution in support of cessation of hostilities in Syria. The document was initiated by Russia and the United States and won support from all the 15 members of the United Nations Security Council. United Nations Envoy for Syria Staffan de Mistura, told a briefing after the United Nations Security Council meeting that 97 armed groups in Syria had accepted the ceasefire terms. According to the Russian military, the ceasefire regime in generally observed, but occasional violations of the regime have been recorded since the ceasefire regime came into force.